This is my first, and probably last, polished stainless seatlug. 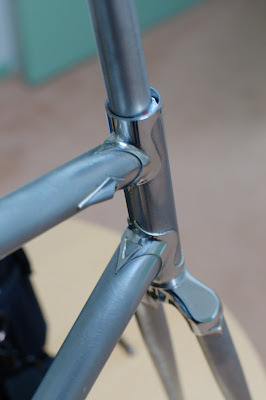 It's not that it was terribly technically challenging to do - the lug prep, mitering, and brazing were not so terribly different to what I normally do with a seatlug, except perhaps the degree of care in mitering the seat stays just so, and minimising the fillet when brazing them into place. No, the real difficulty is the incredible amount of time it takes to file, sand, and finally polish this lug. Then, just when you think it's pretty good, you braze the seat stays in place and have to go back to 240 grit. Not to mention that it's practically impossible to get anything in between the stays - I'm seriously considering attaching emery to large matchsticks to get in there. This one (Keith's) is probably at 80%. I've got more work to do under and between the seat stays. I'm very happy with the way the stay attachment has worked out - I think that should relatively easy to mask. If only it didn't look so good! I'll do a dozen crowns and headlugs before another seat lug. They're just easy to do - straightforward convex surfaces with plenty of room to swing a file. 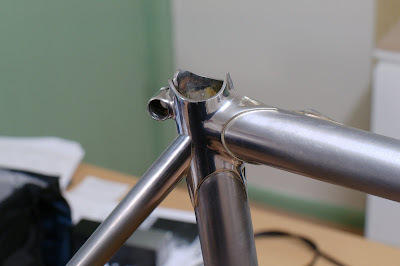 Should I redirect you to this post when you suggest a polished bottom bracket? As a completely objective third person, whose fingers are not mine, I think a BB is a wonderful idea! I'm not sure that would be wise. 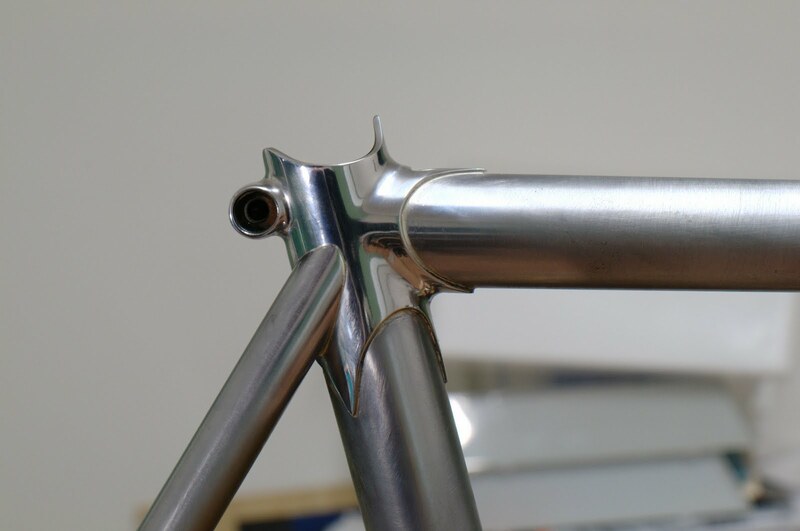 I may decide that framebuilding is too hard, and then where would you get your track frame? 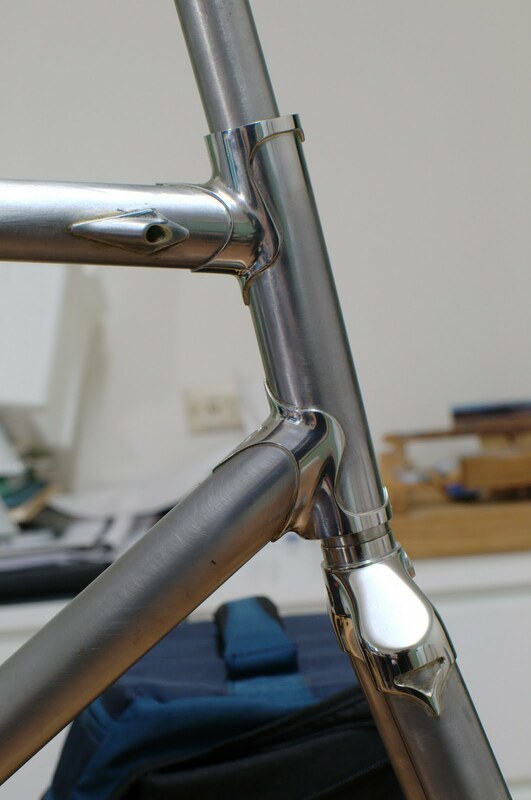 Perhaps do what Cinelli used to do, and paint the rear half of the seat lug? Still, I understand, my big sausage-like man-mitts don't do well in small spaces.